Your essential guide to the third Test between the Proteas and the Black Caps, which starts on Saturday. 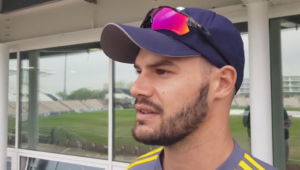 While the New Zealanders are lamenting the loss of three of their most experienced players through injury, the Proteas are hoping that three of their experienced players step up. Ross Taylor, Trent Boult and now Tim Southee are huge absences for the Kiwis, and the Proteas have an ideal opportunity to take advantage and take this series 2-0, which could lift them to No 2 in the Test rankings. It will mark an excellent turnaround after starting the season as No 7. One feels that the advantage has to be taken by Stephen Cook, Hashim Amla and JP Duminy, who aren’t performing consistently enough. They’ve all scored centuries this season, but Cook’s highest score in his last seven innings has been 30, Amla has only passed 50 once in his last 15 innings, and Duminy, in his 17 innings at No 4, has only passed 50 four times, on top of his recent failings in ODIs. The Proteas will be delighted that Quinton de Kock has passed his fitness test, as his counter-attacking value at No 7 would have been sorely missed should another lean patch continue at the top of the order. Rain is expected in varying amounts throughout the Test, which could mean the sides are in for a frustrating five days. It also looks like it’s not going to turn out to be quite the spinner’s paradise they’d predicted, which means Vernon Philander, Kagiso Rabada and Morne Morkel will be licking their lips at the thought of out-gunning what’s going to be a relatively inexperienced Kiwi bowling attack. It means that Dane Piedt is unlikely to be utilised after he was brought into the squad as an extra spinner. Hashim Amla: Amla’s place is not under threat purely for the fact that he has played 102 Tests at an average of 49.57. But the ‘class is permanent, form is temporary’ adage needs to kick in soon, because his batting position is too vital not to be contributing on a consistent basis. 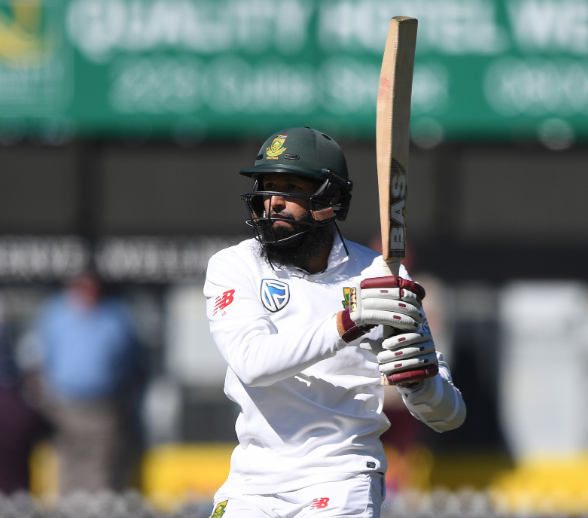 As alluded to above, Amla’s 134 in the third Test against Sri Lanka is his only score of real substance since making back-to-back fifties against New Zealand in August last year. He was the only player in the top seven not to score a fifty in the series Down under, and that stat shouldn’t be coming from your side’s No 3. Alas, his unbeaten 38 to win the second Test last week was free-flowing, and with 26 Test centuries to his name, we all know he’s more than capable of producing the goods. Matt Henry: The injuries to Trent Boult and Tim Southee has handed an unlikely opportunity to Matt Henry, whose Test career came to a crossroads in November last year when he was dropped for a string of under-par and expensive performances. With 17 wickets from seven Tests at 56.11, it’s not a healthy return for the 25-year-old, but he knows he’s better than that and he’s got some gas to burn. He’s also the No 10 ODI bowler in the world, so he’s stepped up plenty of times in black clothing. It’s in whites where he’ll really want to make amends, alongside the in-form Neil Wagner. The Black Caps have been severely short-changed with their injuries throughout this series. Taylor got injured in the first Test, Boult got injured on the eve of the second, and now Tim Southee is ruled out after tearing his hamstring in Wellington. Luckily they still have a hungry Wagner to entrust with leading the attack, with Henry deputising. They’ve opted for the same squad, which means changes are unlikely. Mitchell Santner provides an extra spin option, but it would be hard to drop Colin de Grandhomme, who took 3-52 in the first innings of the last Test. Stephen Cook and JP Duminy’s places are not guaranteed, and the fact that Theunis de Bruyn wasn’t released suggests that they’ve given some thought to slotting him in. Piedt was brought in as an extra spin option, but if anyone in the bowling department is going to get a go it will be Wayne Parnell, who could potentially come in at the expense of a batsman. – Jacques Kallis and Gary Kirsten are the only South Africans to have scored a century at Seddon Park. They scored 150 and 137 respectively, in the first Test in 2004. – Vernon Philander’s 6-44 in 2012, is the best bowling figures by a South African in Hamilton. – Hashim Amla (173 innings) needs 117 runs to reach 8 000 runs. If he reaches it in this Test, only Jacques Kallis (170), AB de Villiers (172) and Graeme Smith (173) would have reached it faster than him. – Dean Elgar needs eight more runs to reach 2 000. – Hashim Amla (1 085) needs 16 runs to become the second-highest scorer in the clash between the two sides, Kallis is in first with 1 543. – South Africa hold the highest 10th-wicket partnership at Seddon Park. Gary Kirsten and Andrew Nel scored 44 against the Kiwis in 2004.